Are you sick of dealing with your bosses shenanigans every day? Do you wish you could have some time to yourself and relax while living the simple life? If so, Uncle Billy Bob’s could be just the escape you need to rejuvenate yourself. 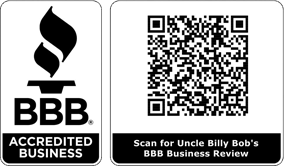 Uncle Billy Bob’s is the ideal getaway for you and your spouse to escape from the hectic lifestyle of modern society. Forget the I-Pads, I-Phones, I-whatever else they invented in the last 24 hours- and come stay at the most hospitable REDNECK resort in Idaho, one of the most scenic states in the country. Located just an hour away from our state capital, Boise, Idaho, we invite you join us and come get some fresh air. We offer an assortment of fun outdoor activities nearby, in both the summer and winter. Garden Valley Idaho is renowned for its serene trails and our Payette River that are perfect for destinations a variety of outdoor activities. In the summertime you can enjoy exciting activities such as mountain biking, horseback riding, hiking, golfing, white water rafting, zip line tours and the notorious Silver Creek plunge adventure. During the winter months, you and your family can partake in sleigh rides, snow mobile adventures, cross country right out the front door and downhill skiing just less than hour way. And of course, the always popular Silver Creek plunge adventure if you like snowmobiling. These are just some examples of the fun you can have while staying at Uncle Billy Bob’s. We offer two options for lodging, with both of them being among the coziest and most relaxing accommodations in Idaho. Located in downtown Crouch, Idaho, our guests are just a stone’s throw away from the two town bars, ensuring that you enjoy the “redneck nightlife.” This first option of our accommodations offers our valued guests a choice of two types of trailers. Additionally, we do have RV sites available for your convenience. If you would like to make a reservation for a relaxing and tranquil getaway, please contact us by clicking here or here, depending on which type of redneck-get-away you select. 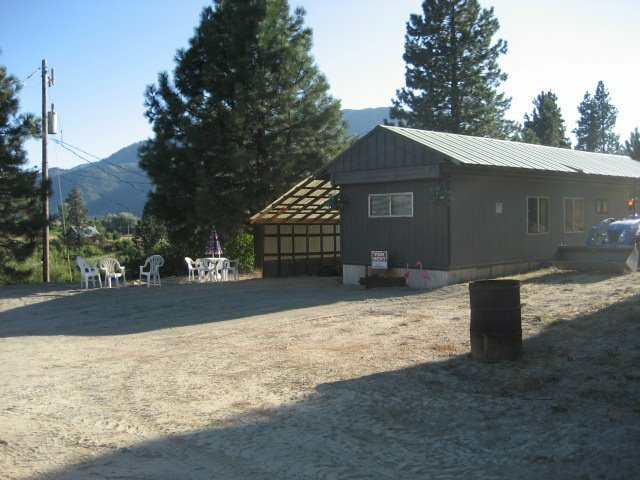 Come and enjoy the picturesque scenery that Idaho has to offer, and stay with the most welcoming redneck resort in Garden Valley, ID. We have had countless visitors’, many of which are from Treasure Valley, make Uncle Bob’s an annual destination after seeing how much fun they had with us. We would love to show you a memorable time as well.